Kinetic Arts Center invites students to enjoy a one of a kind fitness experience in an encouraging group environment. We welcome students of any age and skill level. Please register in advance as our class sizes are limited and they fill quickly — drop ins are accepted on a space available basis. Please wear comfortable clothing (no buttons or zippers) for training and arrive five (5) minutes early for your first class to sign our Release & Waiver. If you have additional questions please call us at 510-444-4800 or email us at info@kineticartscenter.com. 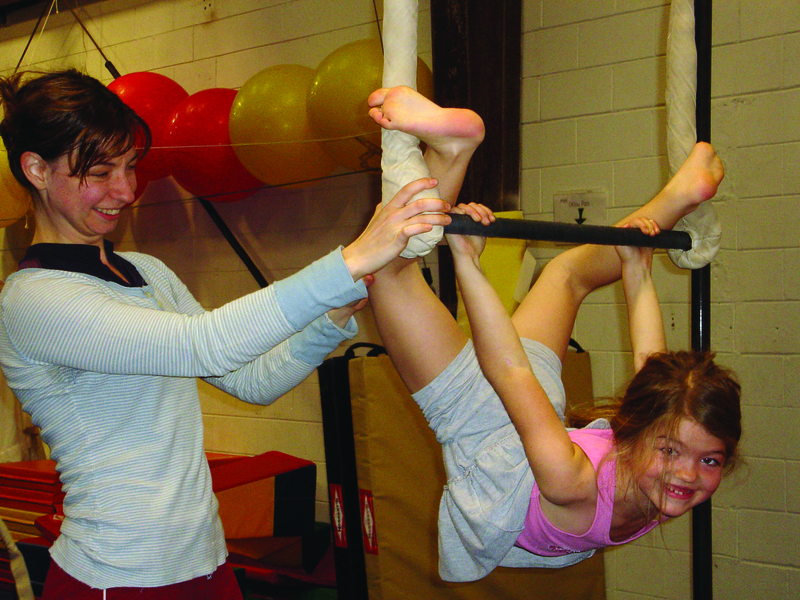 Kinetic Arts Center’s youngest circus students receive instruction from highly skilled staff in a warm and non-competitive environment. Classes and curriculum are age appropriate and always fun! Students entering our program as toddlers will hone their gross motor skills and build strength in our mini-obstacle courses. More experienced students will reach new heights as they learn to climb in our aerial classes. Your daredevils will love our (safe) Parkour offering where the emphasis is on speed, jumps and rolls. Click here for Class Descriptions, and to sign up! Our Performance Classes are an exclusive, tuition based offering for our Circo Club Members. Youth members enroll for a course that culminates in the creation of an act for the season ending performance. Our fall season runs September – December and our spring season runs January – June. This is a wonderful opportunity for students who would like to commit to a season of training with a group of like-minded classmates. Email michelle@kineticartscenter.com for additional information. 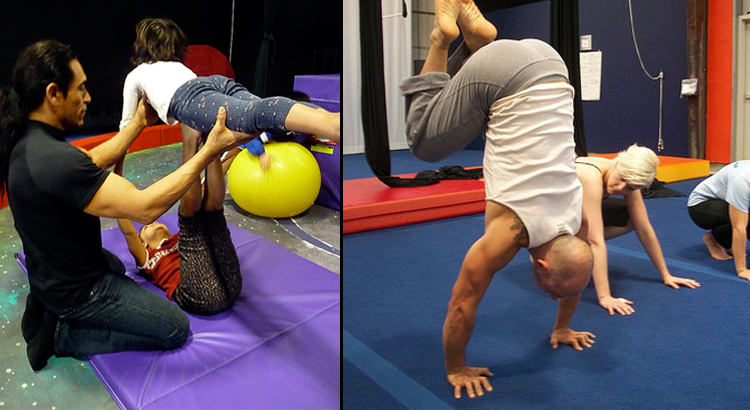 Kinetic Arts Center offers classes suitable for the aspiring circus artist and for beginning level students seeking fitness alternatives. We welcome students of any level, age, size and gender. Our adult students are encouraged by their instructors and supported by their classmates. There is nothing quite like hearing the cheers from our adult classes when a student attains their goal.